Destroy the 2 Archer Towers. Then deploy the Balloons to destroy the rest of the village. 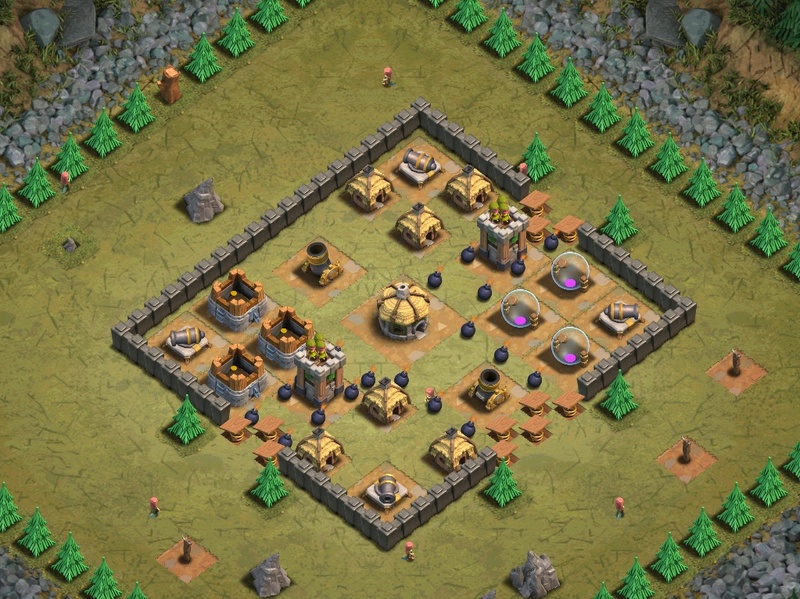 Deploy a few Barbarians next to each archer tower to active the Spring Traps. Deploy 5 Giants each side to destroy the archer tower. Deploy the Balloons and let them destroy the village. Deploy 4 level 2 Balloons at each Archer Tower. This number reduces to 3 with level 3 Balloons. The Lightning Spell damages units and buildings in a small area.